With the film Bhoot filmmaker Ram Gopal Varma introduced a new age horror genre to Indian cinema. The film was a huge hit. After the success, Bhoot 2 as a title was registered by producer Nitin Manmohan’s company because at that time Nitin Manmohan and RGV were together. Owing to their parting, producer Nitin Manmohan a year back announced Bhoot 2 with Vikram Bhatt as the director. But when Vikram got to know that it was not done with RGV’s consent he backed out. As the title Bhoot 2 was registered with Nitin Manmohan the new producers of the sequel Alumbra Entertainment and Eros International repeatedly requested Nitin Manmohan to part with the title citing the original creator was RGV. “The producers repeated requested Nitin Manmohan to give the copyright of the title. But he in a petty minded nature due to his previous tussle with RGV, delayed the process,” says a source close to the producers. RGV decided to end this chase for the title and changed the title of his film from Bhoot 2 to Bhoot Returns. The film stars actress Manisha Koirala and JD Chakravarthy and Eros International will release the film worldwide on 12thOctober. 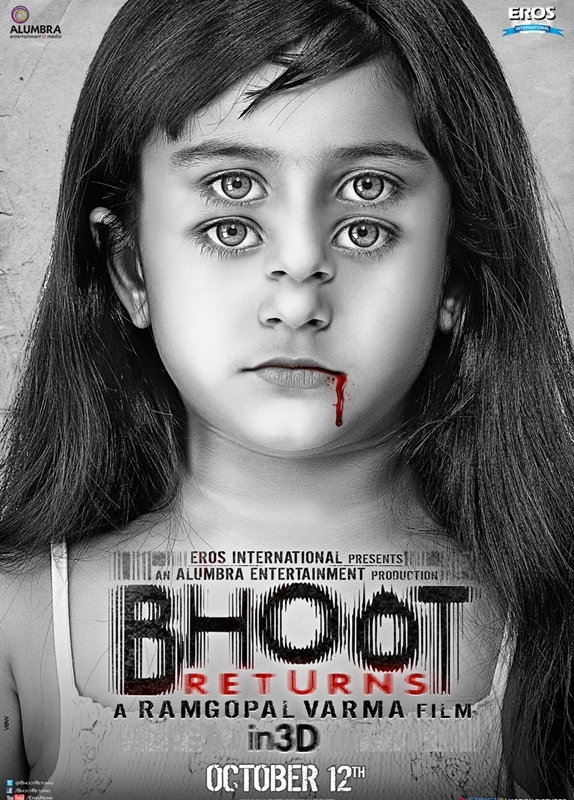 Bhoot Returns is RGV’s first 3D film. The film will also release in Tamil and Telugu. Shanti Gyan International School got yet another feather to its cap.